When the audience hear your presentation without interrupting and without asking questions, what does that silence mean? Doing good work is as important as being seen as doing good work. Do you agree with this statement? If so, what would be the key skills to make this happen? We speak before we speak. And, after we speak we have not spoken. Is this possible? What are the elements of a successful presentation? Can you solve these two problems? B. Swarup just finished his presentation on Project Green. His CEO Soumya smiled, and said “Thank you. I will come back to you on the next steps. Leave me with Kamal & Mathews please”. In his one hour presentation, Swarup had detailed the opportunities and risks associated with the project. His colourful slides and dramatic videos had his 20 strong audience nod their heads. In the end there were two questions which Swarup answered in his detailed style. Yet, CEO Sowmya was not clear. She turned to CFO Mathews – “Please ask Confident Consulting to study the work done by Swarup and his team, and make their recommendations. This will delay the project by a few weeks. I will have a problem convincing the Board. I have to face it. I will”.She then looked at Kamal “Can you get people in this company to make better presentations, please?” Kamal responded. “You mean run them through a PowerPoint Presentations Training Program?”. Sowmya did not hide her irritation. “It is much more than that, Kamal”. What do you think Sowmya meant by that? Is it their ‘presence’? Is it the voice? or language? Or the story? Presentations that leave a lasting impact, require many elements to be woven together. A high impact presentation is a winning blend of Substance and Style. How important is this skill? As digital technology pervades our lives, our attention spans are reducing. To a presenter, this makes it even more challenging to sustain audience interest. Increasing competitiveness in Organisations demands the ability to present well-crafted solutions with confidence and verve. 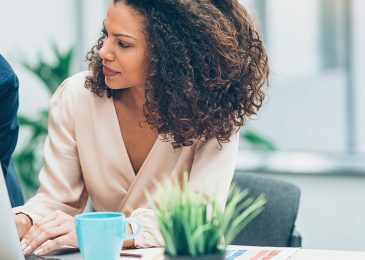 Employees want leaders who persuade, motivate, energise and influence. 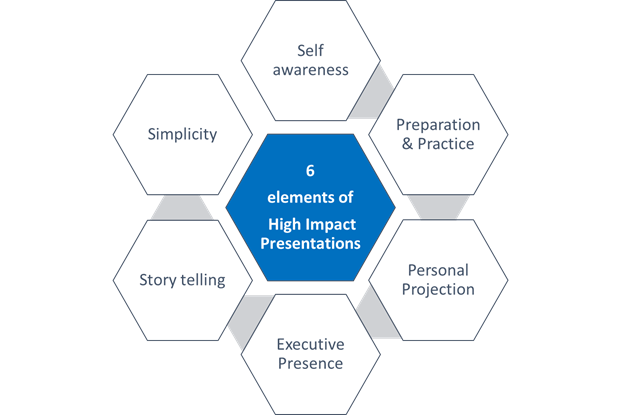 So proficiency in delivering High Impact Presentations is in effect, an imperative for ALL. High Impact Presentation is a core skill and gives the presenter that slight edge that makes a huge difference in audience acceptance. Obviously to cultivate the skill of making high impact presentations, one must want to do this well, and want to enjoy doing it. Self-awareness: Understand your personality, build winning strategies around your strengths. Ask yourself – Am I people-centric? Do I share information with openness and generosity? Am I ready to be challenged? Am I mindful? Am I in the highest state of concentration. Preparation & Practice: Behind every powerful public speaker and presenter, there is tireless effort. Material is garnered with care, structured neatly, and the entire body is strung together with sign posts making content seamless and audience-centric. There is a tendency to reach for content as a first step… perhaps this impulse reflects our comfort zone. The structure defined by the objective and audience profile, needs to be thought through first. The flesh is then built around the structure- this ensures a rhythmic flow and a logical sequence. Well structured content makes concepts and messages crystal clear. It dwells in the minds of people because the ‘why frame’ is addressed first – why we need to do what we need to do and how. 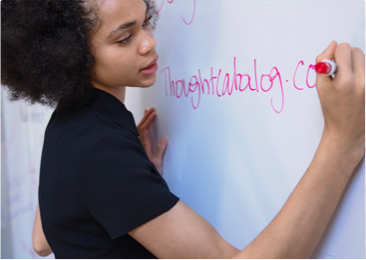 Structured content is the foundation for powerful deliveries and deserves utmost thoughtfulness. Effective speakers share 3-5 arguments that support their personal story and key messages. 3. Personal Projection: People perceive what we say by our voice, tone and body language. As we speak, we reach out by our verbal communication (7%), Voice (38%) and Body language (55%). Voice level is the decibel quotient and is best utilised when it emerges from the diaphragm. Voice level needs to be resonant and deep and this can be developed through exercises. A positive tone falls pleasantly on the ears and improves attention. Variation in speed and the appropriate use of ‘’pause”’ brings a variety to the presentation and makes it appealing. Our emotions mirror our thoughts and beliefs, so when our voice expresses our emotions, it engages the listener and he or she is inclined to be persuaded by the presenter. A confident body language. posture, eye contact, positive facial expression, positive clusters of hand movements and energy. all of these contribute to creating impact. 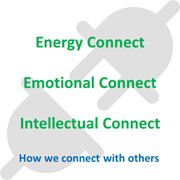 In short, Personal Projection is about the need to make three connects with the audience- Energy Connect (through body language), Emotional Connect (our feelings and people-centricity) and Intellectual Connect (substance). 4. Executive Presence: An aura. People with executive presence radiate confidence and poise even under pressure. It is a kind of magnetism that draws people to them. 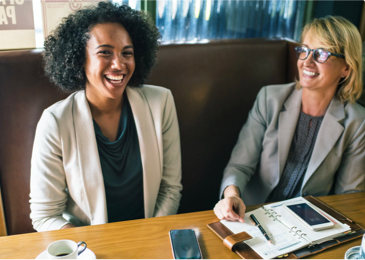 It is a combination of many factors – speaking skills, assertiveness, ability to read an audience or situations, composure, credibility, clarity and conciseness. If it sounds like it is impossible to achieve executive presence, don’t be despondent! When we enhance our knowledge and skills on a continuous basis, our talent remains sharp and honed. Competence and humility creates a serenity within us. We are now almost there… with personal reflection, practice and coaching, Executive Presence is eminently possible. 5. Story telling: An age old skill, story telling has been used as a tool to engage, convince, to evangelise, to act and to laugh and to cry. We never grow up! There is a childlike curiosity to know, to feel, to be simple. Stories and humour can lighten serious topics. It is a leveller – the best way to be part of the audience and yet stay apart. Stories bring variety and bounce to a presentation. Sometimes a poignant moment is best illustrated by stories. Today story telling has become a serious pursuit for many in business, education and other walks of life. A skill worth acquiring. Listen and learn from story telling sessions. Watch the way the voice is modulated and direct speech is used. it is good fun learning. 6. Simplicity: This is the hallmark of excellent presentations. To be simple is not easy. It calls for vast knowledge, high degree of communication skills, respect for others and keen listening skills. To be concise, we need to be simple in thought and judicious with our spoken words. Like it is often said – “It takes years of intelligent effort to be simple”. Simplicity adorns a presentation like a brilliant jewel. People value simplicity and respond to it with trust. High Impact Presentations are not easy to learn and deliver… however a determined effort on all the six elements will bring in the desired result. How earnest is your desire to master this coveted skill? Can you go back to the situations discussed in the beginning of this document? How would you answer those two questions now? With our unique combination of consulting and training expertise, we help nearly 15,000 companies per year in more than 40 countries, and in over 30 languages, to become more efficient and effective in their sales activities, and achieve necessary improvements in results.For more information about Mercuri International, please visit ca.mercuri.net.